Are you looking for a good deal? 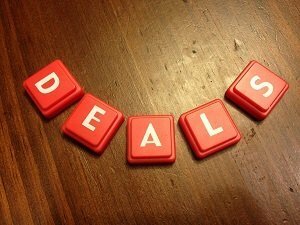 Chances are that you know about some of the daily deal sites out there. These sites provide you with a way to get deep discounts on various products and experiences. A good daily deal site can provide you with opportunities to save money on things that you normally buy. Remember, though, that to take best advantage of daily deal sites, you need to only purchase things that you would have bought anyway. Otherwise, you’re just spending extra money and not truly saving at all. Groupon is the one that started it all. This site allows you to sign up by location, so you receive daily deals related to your area. This means that you see local businesses in your deals section so that you can really use what you buy. If you can get enough of your friends to sign up for a Groupon, you can get it for free. This is a great way save money on your favorite items or at your favorite store. This is another daily deal site that targets your location. Living Social offers different deals than Groupon. While you’re more likely to find a Groupon deal for a specific item, Living Social is well-known for its experience deals. You can find vacation packages, a trip to the spa, and local family activities. While it’s also possible to find deals for individual items (and you can find experiences on Groupon), the majority of deals seem to follow a specific pattern. As you might expect, Google has its own daily deal site. Google Offers provides you access to local and online deals. It’s really easy to search Google Offers for what you’re interested in as well. Categories make looking for just what you want easy; no waiting for an email to show up in your inbox. Additionally, you can find some great deals on specific offers on the front page of Google Offers. Looking for deals on high-end items? Gilt City is for you. Choose a major city, and then get access to interesting and exclusive experiences. The main downside is that you can only choose from a list of major cities. However, if you want to make a trip memorable, Gilt City is the way to go. You can get up to 75% off on restaurants, events, and spas. Before you plan a trip to a major metropolitan area, make sure that you check out Gilt City. The cool thing about Moolala is that you have a chance to earn money while you are taking advantage of 50% to 90% off deals. While you are shopping, you can be earning money. On top of that, if you get friends to sign up using your referral, you can get a portion of what they earn. While using Moolala probably won’t make you rich, your earnings have the potential to at least partially offset what you spend on deals. Make sure that you take the time to manage your daily deals. You can sign up at multiple sites, or you can choose one or two sites that offer the deals you are most likely to use. You can choose to create an email address just for daily deals, or you can watch for them to come into your inbox. Also, most daily deal sites have mobile apps now, so you can use them on your phone, making the whole process a little bit easier. The biggest danger with daily deals is using the deal as an excuse to buy something you wouldn’t normally purchase. If you are planning on a getaway for the weekend, it makes sense to buy a travel package from a daily deal site. However, if you hadn’t planned on going, and you use the deal as an excuse, then you aren’t saving anything at all. Don’t get so caught up in the deals that you forget the basic rules of savvy shopping and good financial practice. Manage your daily deals so that you really are getting the best bang for your buck. I am glad you put in the caveat that you should need the item before thinking it was truly a deal. If you don’t need the item, the no price is really a deal for you.